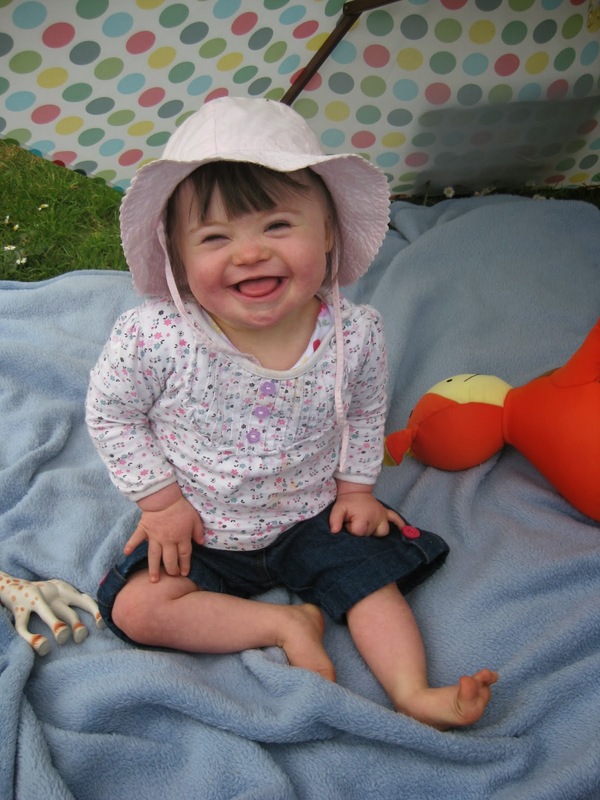 #DSAM 2013-Does she look bothered? tiny human creature seem endless. You could be nestling a being who will one day grow up to be President, nursing a future pop sensation or teenage pin up, cuddling a little head within which lies the cure for cancer.With the birth of a baby with Down syndrome, suddenly all these wonderful doors of opportunity start slamming in your face. All I wanted was a future where my daughter could come to me with exclamations as fantastic as ‘Hey Mam, I wanna be a doctor’ or ‘I’ve decided I’m going to be a rocket scientist’ and believe that there was an actual possibility she could be either of those things. These all added to my hurt and cemented the thought in my head that this was a truly terrible thing that had happened to my child. tiniest of postage stamps, but now I know a lot more. which occurs randomly at the time of conception, hence there is no blame to be assigned on either part of the parents. I know that people with Down syndrome are living more active, fulfilling lives now than at any other time in human history. is to be supported, but also for their loved ones to celebrate this new little person in the same way they would any other baby. a course in the university here in Galway. Here was a pleasant, confident, well-spoken young woman who had a job she enjoyed and was embarking on that most exciting of adult milestones – entry into third level education. disability second. Slowly but surely, attitudes are changing and maybe we’re not too far away from the day when it won’t be a big deal when a child or an adult with a learning or physical disability does something most of the rest of us take for granted. Great post and what a little beauty! Thank you-we love her to bits. ve someone so special touch their life. It is a blessing having him and not everyone understands what that really means til it happens to you and your family. Austin is now almost 16 in December and is on the A honor roll for the last 3 years. He is in the National Honor Roll Year book in the 10th grade and has a full scholarship to college when he graduates. Whoo Hoo go Austin!!! !